After finishing up their terrifying adventure in the horror genre, Creative Assembly is returning to their strategic mainstay, the Total War franchise. 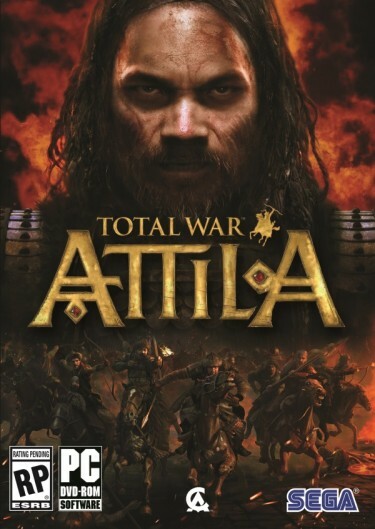 The franchise is venturing into the often forgotten era between the collapse of the Roman Empire and the Middle Ages in Total War: Attila. Gamers will take control of one of the many factions battling for power and lead their armies into battle while managing the political intrigue at home. After several centuries of Roman power, the Roman Empire has split into two and the Huns are invading from the east. The power vacuum created by the split has left many factions fighting over the remaining pieces. The grand campaign will let players choose one of ten factions and lead them to glory. Beyond the initial cinematic setting the historical stage, the real plot will be the one the player creates from success and failure. Total War: Attila plays much like previous titles at its core. 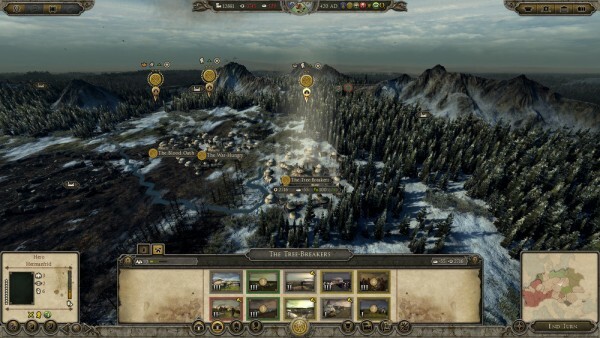 The campaign mode gameplay is a turn based strategy where players will build their armies and their kingdoms. Players will start out with a small empire and a ruling family. From there, they will begin to build their cities, research technology, make friends, and start killing off enemies. Whether through more peaceful means or through military conquest, players will need to complete a series of objectives to claim victory. There are three levels of victory, minor, cultural/military victory, and major victory. Each have their own set of requirements, such as surviving to a certain date, controlling a certain number of territories, and so on. 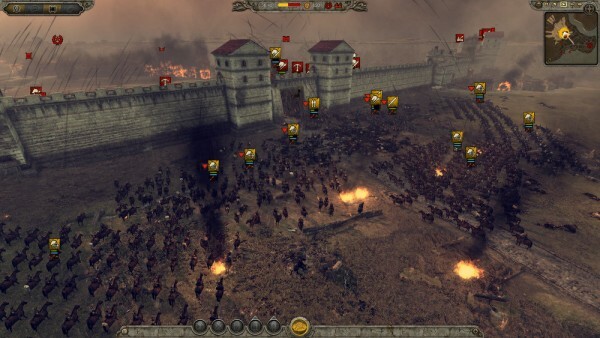 Conflict can be sorted out by leading the men into a real time strategic battle or allowing the computer to come to a decision for the player. 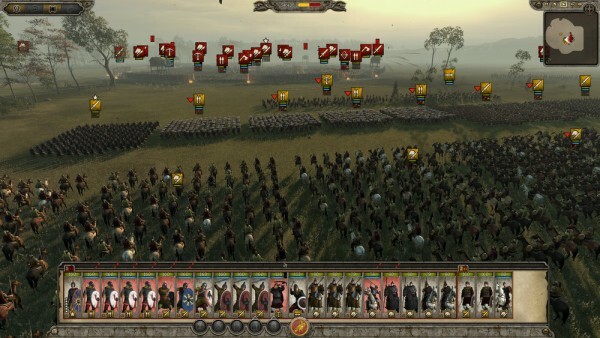 Unless the battle is completely pitched in the players favour, it is almost always the better choice to let the player command their troops in battle. Unlike more traditional RTS titles like Starcraft and Command & Conquer, the focus in Total War: Attila is troop movement and positioning. Players will face off in a battle against the enemy with their army numbers already established. With a maximum of 20 units to begin and another 20 for reinforcements that will march into battle after a short delay, a successful commander must be able to position their troops for the greatest tactical advantage and strike at enemy weaknesses with the correct unit. Creative Assembly builds on the simple premise with unit morale, exhaustion, ammunition types, and formations, creating a surprisingly complex battle without need for resource management or special abilities. Creative Assembly has made a valiant effort in making Total War: Attila as newbie friendly as possible. 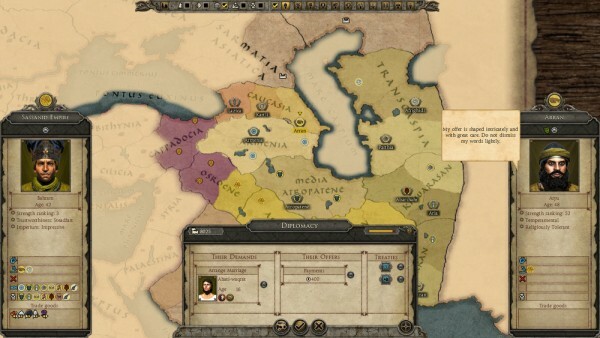 The prologue campaign serves as an extended tutorial and the advisor provides a stream of helpful gameplay advice. With the difficulty cranked down to the easiest level, the game is still pretty daunting to those new to the genre. Part of the challenge comes from the sheer scope of the game. Managing internal politics, external diplomacy, cities, and the armies is a lot to digest at once. Although the prologue campaign tries to ease new players into the game, there is still a lot for a new player to learn in such a short period of time. There is a ton of content in Total War: Attila, making its $44.99 USD asking price quite reasonable. The grand campaign has a starting scenario for each of the ten factions that range in difficulty. Campaigns can be played solo or with others. For those who would prefer to skip the turn-based kingdom management and get straight to the fighting, a variety of battles are available in single and multiplayer. 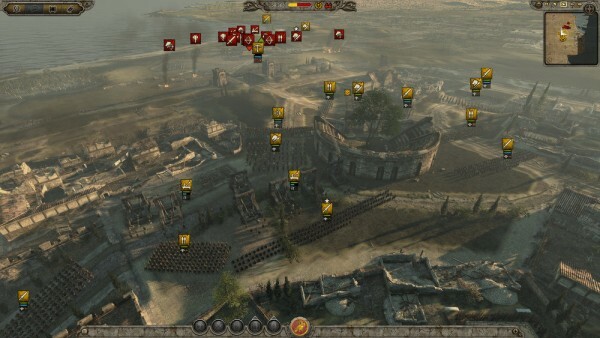 Notably, players can participate in some of the most famous battles in the era in Historical Battle mode. 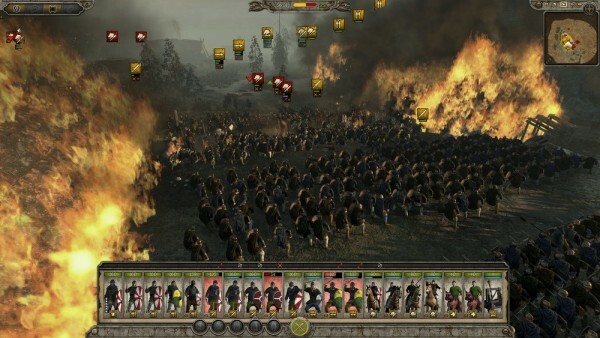 The controls in Total War: Attila are solid. As most with most RTS titles, the game has hotkeys up to the nth degree and those migrating from other genres will be at home with the WASD camera controls. 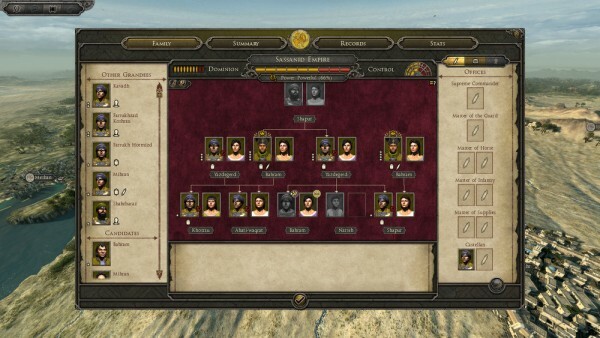 The combat UI is well designed, lining the bottom of the screen with unit commands and keeping a full list of units and their statuses prominently displayed at the bottom of the screen. Troop position uses a drag and drop system that is so easy that it only takes an extra drag to have the unit facing in the exact direction and formation you may desire. The campaign map’s UI is a little more complicated and convoluted. A lot of important screens have been banished to unlabeled buttons at the bottom of the screen, making it a bit more challenging to master. Total War: Attila is an excellent looking game. The landscape is detailed and lush. Once fights begin breaking out, the ordered units begin engaging in chaotic skirmishes that is quite a sight to see. It is very easy to forget how good the battles look in the game when players tend to be obsessed with the larger picture, but remember to zoom in once in a while and enjoy Creative Assembly’s attention to detail. On the hardware side, Total War: Attila can be demanding. I noticed that particularly nasty sieges can cause frame rates to drop substantially. Good news for those with weaker computers though, the game has quite a few options that can be dialed down to support aging systems. The soundtrack is a finely composed piece of work. It strikes the right notes of epic and exotic, which fits in perfectly with the game’s Dark Ages theme. It is an absolute shame that the soundtrack is not available on its own, while soundtracks for previous titles like Shogun II: Total War are widely available. The sound effects have also been treated to an equally solid performance. Small touches like hearing the noises of nature when the camera is zoomed in is a nice touch. In stark comparison to the soundtrack, I found the voice acting to be extremely weak. The voice actor behind the advisor does a good job of his lines, but the remaining tends to range between just acceptable to downright cringe worthy. Part of the problem is that the lines written for these actors are a bit lame to start off with, but poor base material is little excuse for how utterly poor some of the acting is. Total War: Attila is a solid title for anyone into RTS games. It is a decent choice for people new to the genre who are willing to muscle through a serious learning curve for a big payoff in the end; however, those looking for an easier entry into the genre should pick another game. Total War: Attila combines solid gameplay, great visuals, and a stellar soundtrack into one polished RTS.